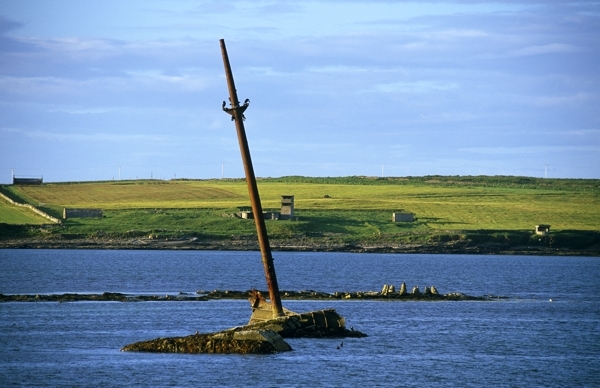 Scapa Flow's landscape holds a treasure trove of natural, archaeological and cultural interest. 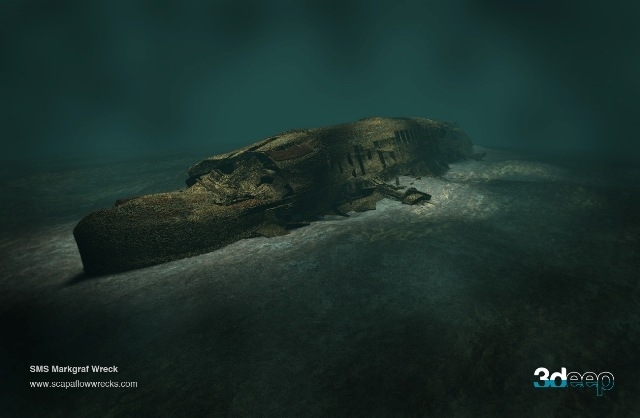 Visit www.scapaflowwrecks.com for more information on the area. 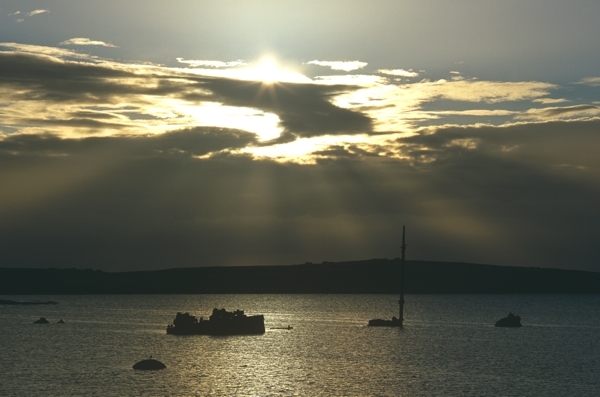 The Scapa Flow area boasts a fabulous natural environment. The same geographical features which provide sheltered anchorage and habitable shores also support a distinctive range of wildlife. The waters of Scapa Flow support nationally important numbers of great northern divers and Slavonian grebes. Under the sea, habitats such as the seagrass beds are also of great conservation importance. The area still supports the flapper skate. 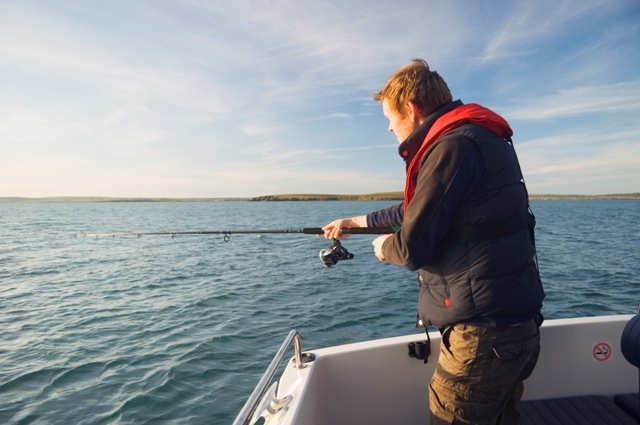 This fascinating giant is on the verge of global extinction and Orkney’s waters are one of two remaining strongholds for this fish. Wildlife lends a great deal to the sense of place throughout the area. Seals, tysties (black guillemots) and bonxies (great skuas) are a constant feature of the coast in summer. The farmland rings to the sound of curlews and oystercatchers. Some of the sandy beaches of South Ronaldsay are characterised by the rare oysterplant, whilst South Walls has a strong population of Scottish primrose (often known by its scientific name Primula scotica) – a plant which is found nowhere else in the world other than the north of Scotland. 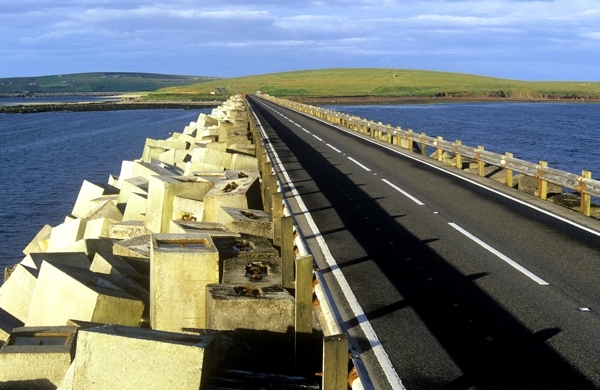 The scenery in the Scapa Flow area is stunning, with dramatic coastscapes, the scatter of islands and the sloping farmland with its lush grassland. This landscape is framed by the ever-present high Hills of Hoy, and the heather covered slopes of the hills of the West Mainland. The area from Stromness to the heights of Hoy is designated as a National Scenic Area in recognition of its dramatic beauty, but a diversity of wonderful views are found throughout the area. 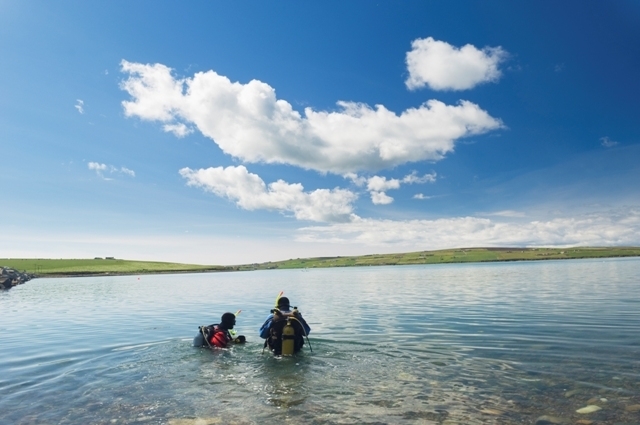 The landscape around Scapa Flow is ideal walking country for people of all abilities and ages. Choose from gentle rambles close to villages and towns, moderate walking around sites of significant historic interest, or more challenging treks among dramatic coastal features. 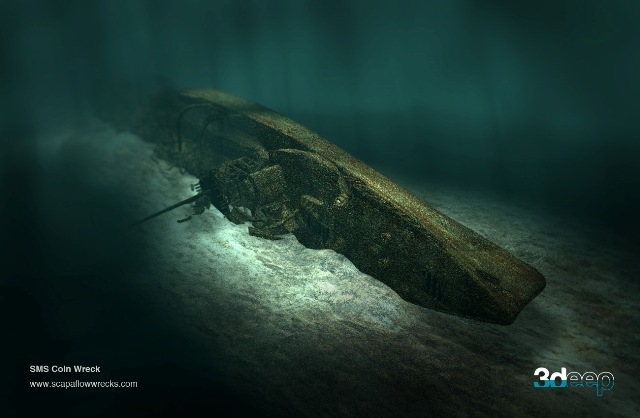 The astonishing diversity of wrecks, along with the fascinating stories behind them, make Scapa Flow a world-renowned location for all those interested in maritime history. 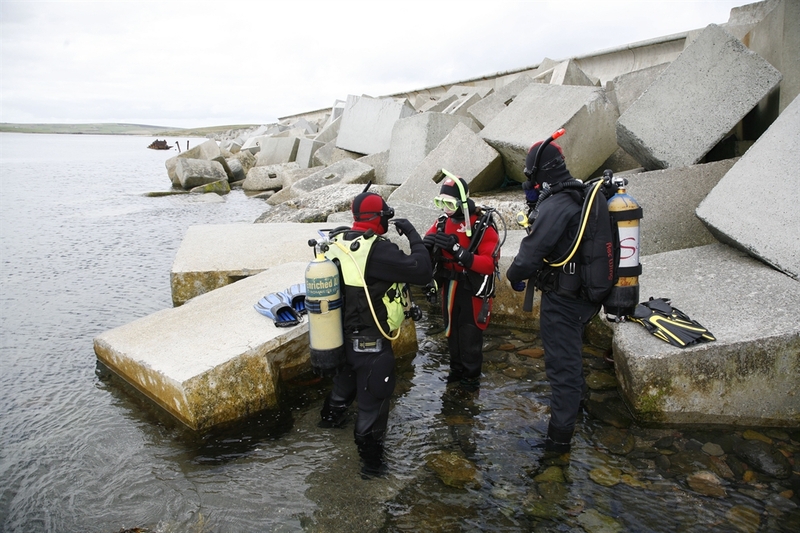 Orkney has a unique underwater environment, from vast battleships resting in the heart of Scapa Flow, to smaller blockships dotted along the rugged coastline. 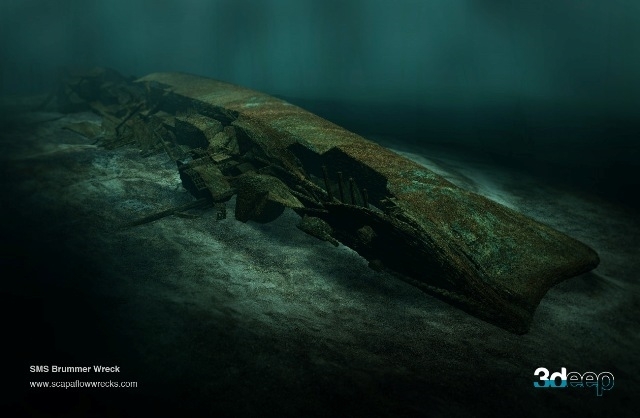 please visit www.scapaflowwrecks.com for more information.